• dynamic processing that adapts to the exploration depth for improved image clarity. • Rapid start-up so you can begin working instantly. 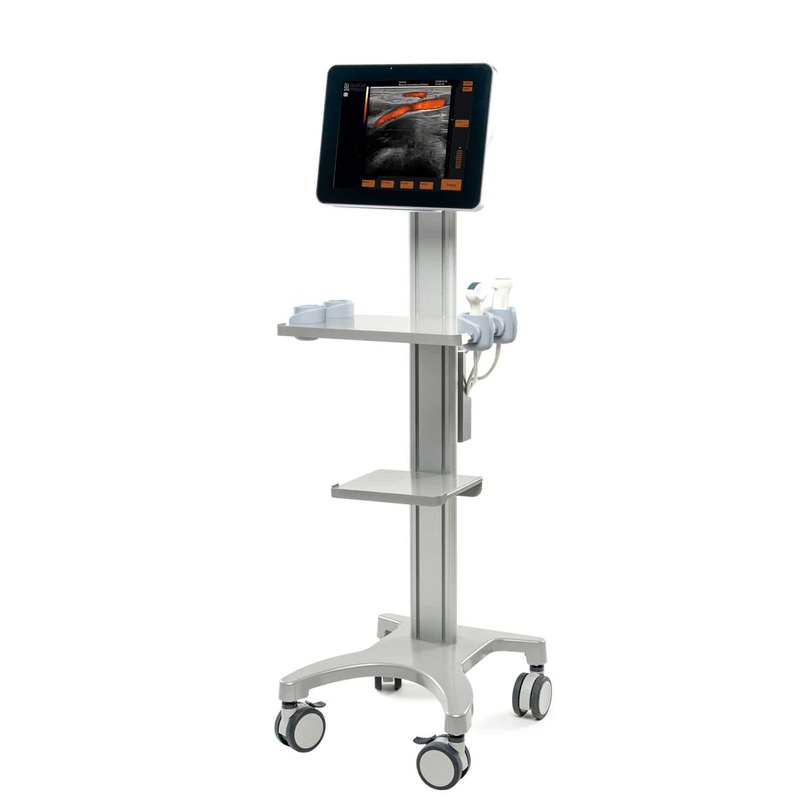 • Full touch screen selected for its sturdiness and contrast for a perfect visibility of ultrasound images regardless of the viewpoint. • A screen size (12 inches) for integration of the ultrasound scanner in the working environment. • Button-free screen for easy cleaning. • Ergonomic, light probes for improved working comfort. • Rechargeable long life battery. • Light and handy cart option.